Sixth June is a band from Berlin with origins in Belgrade, formed in December 2007 by Laslo Antal, visual artist and actress Lidija Andonov. 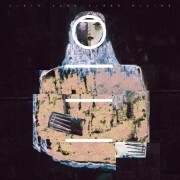 Having two people in the band who are closely connected to film, theatre and video art enables Sixth June to be recognizable not only by the music, but the visuals as well. 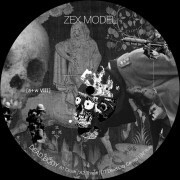 Here’s the 5th release from Zex Model, an industrial project from Kaliningrad, Russia. 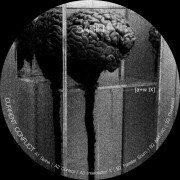 Here’s the third release from SΛRIN, a techno / industrial / EBM solo project from Berlin. Influenced by Terror Against Terror, SPK, Nitzer Ebb, Clock DVA, Portion Control, HUREN, SINS, Vierance. Here’s Wiedergaben Vol. 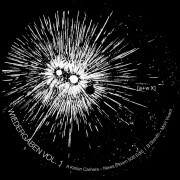 1 featuring an edit of Kirlian Camera from Room 506 with a track from Stonith. 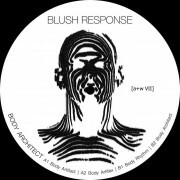 Blush Response is an American Electronic Music project based in New York. It is the solo project of musician Joey Blush. He began Blush Response in 2009, and has released two albums to date, 2010′s We Are Replicants (self released), and 2013′s Tension Strategies (Basic Unit Productions / Tundra). Blush has also done programming work for artists such as Fear Factory, Rhys Fulber, Cristian Castro, and has toured as a member of Joey Jordison (Slipknot)’s industrial metal project Scar the Martyr. Limited edition of 500 copies on vinyl.